Since launching its first transparency report in 2012, it has been Twitter’s aim to ensure users from around the globe can access this information in a clear and straightforward way. 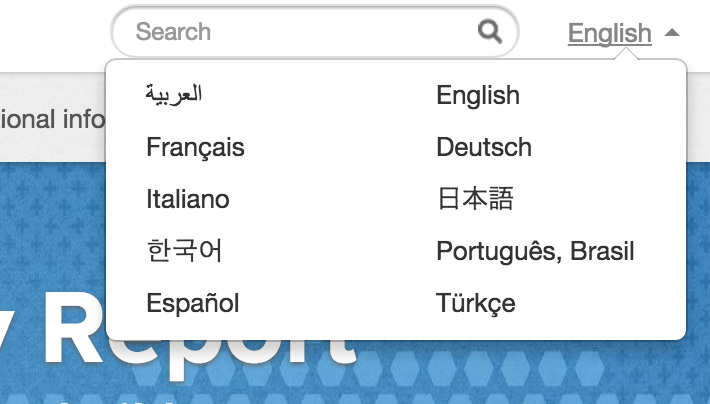 Today, Twitter announced that the transparency reports will now be available in 10 languages – fulfilling its July promise to add approximately one dozen report languages by the end of 2014. The company naturally took to Twitter to announce the update, noting that individual country pages will follow in early 2015. The available 10 languages are English, Japanese, German, French, Italian, Korean, Arabic, Portuguese, Spanish and Turkish. Twitter transparency reports are released biannually.